1. From the camera screen in CompanyCam, tap AR in the menu at the bottom of the screen. If you cannot see this option, check this list of supported devices. 2. Choose measure line, measure area, measure pitch or place an object. 3. Follow the instructions on the screen to 'select the surface' and add points for measurement. 1. Tap camera icon in the lower right corner of the screen. 2. Tap shutter to take photo, screen will flash to show photo was saved. 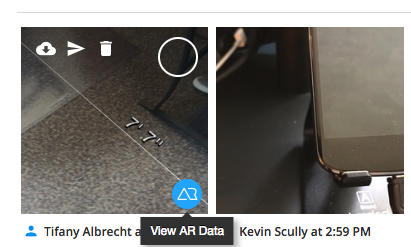 You can view AR data in the Mobile App (iOS or Android), and you can also view AR data from any browser (log in at app.companycam.com). 1. Tap to open the image to full screen. Tap the 3 dots in the upper right corner. 1. Look for the AR icon in the bottom right of any photo. This signifies that the photo was taken using CompanyCam's AR Cam. 2. Hover over the photo and click on the blue AR icon. 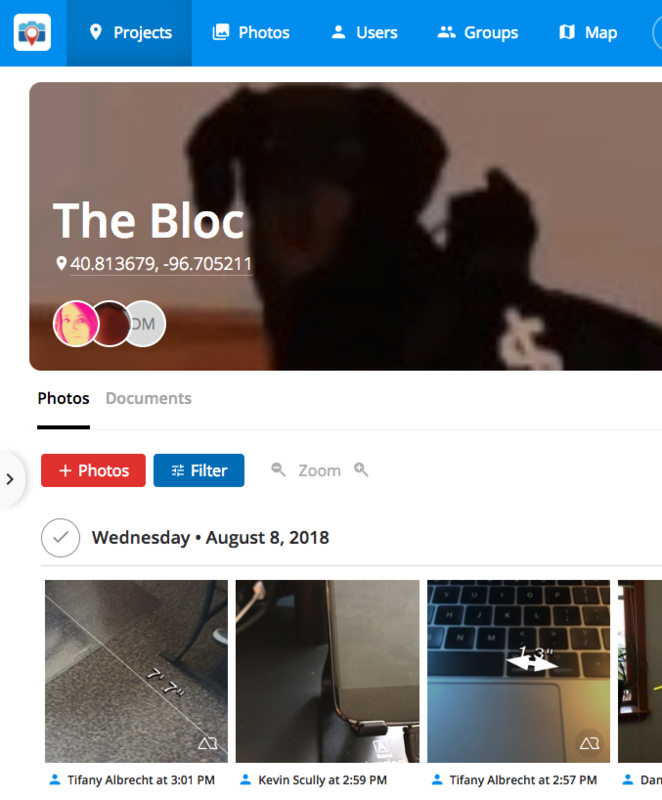 Learn More about CompanyCam's AR Cam at https://companycam.com/ar.